Can I make jokes during labor? Can I make her laugh? Will she punch me? 3) it opens up lovely discussions about hormones, pain-coping, personality and all of the mixed intensities of labor. And, like so many questions about birth, there isn’t a simple answer. There’s a big spectrum of possibilities. So let’s begin with thinking broadly about humor. When IS humor appropriate? When does it fall flat? Can you drop a one-liner when someone has the stomach flu? Can you enjoy humor when you’ve been given a cancer diagnoses? Does light-heartedness help when you’re dealing with a house foreclosure? Humor works best when you're facing a hardship, but not a tragedy. And even when things are dire, with the right support and love, levity has its place. Do you already appreciate (his/her) humor? You will still be yourselves in labor. You will still have your individual personalities. So you can think about what already works for you now. Does your partner’s humor help you when you’re going through stress? When he’s holding your hair back as you puke, do his wise-cracks lighten the mood? Or maybe you want to direct your pukes to his feet. That says a LOT about how it may be for you in labor. In the moment, how are you coping? How much focus does it require? I have seen mothers crack a smile (hell, even crack a joke herself!) in TRANSITION (like, the hardest part, y’all). HOWEVER! So much depends on how she’s coping. If she’s working hard but relatively relaxed and calm between contractions, then she may be amused by a well-timed comment. Of course, if she’s struggling, needing to give all of her energy to her coping, then a joke may be ignored. Or you may get a side-eye. Read the room: Does she feel safe and supported? In my experience, my clients feel more light-hearted if things are going well. If there is a question of anyone’s safety, or she’s in pain and is waiting for pain medication, if she’s having to make hard medical decisions, then understandably she isn’t feeling the funny. AGAIN, look to yourselves and your personality. What works for you when you’re going through a hardship? What is your dynamic with your partner when you’re in the thick of difficulty? Some people really like gallows humor. Is that you? What exactly is so funny? Be aware of what you’re joking about. It’s a very vulnerable thing to deal with pain or stress in front of your loved-ones. It’s best to refrain from personal remarks. After my first labor, I joked that I sounded like a wounded cow during contractions. I’d bet you $100 that I would have forever hated my husband if he’d been the one to make that observation, especially if he’d made that comment DURING labor. Above all, she sets the tone. When I touch on these topics, I’m mostly addressing partners as they are the ones who ask this question in class. But pregnant ladies, you are the boss of your experience. I hope this article sparks thoughts and questions for you both. Look over the list together and superimpose yourselves on it. 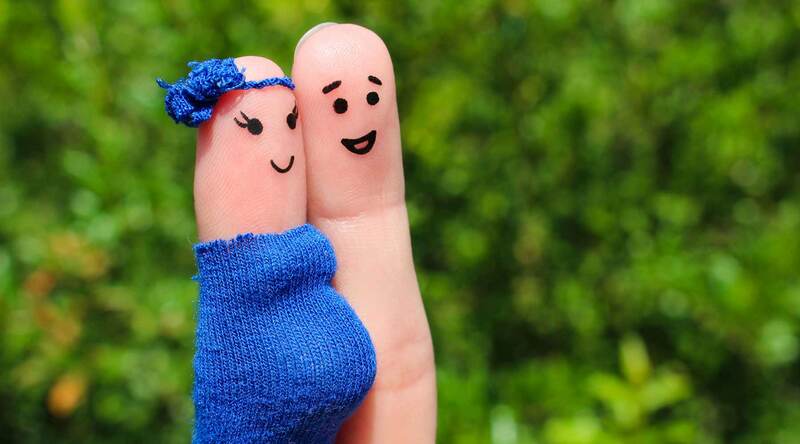 With her prenatal blessing, partners, you can always try it out during labor. If you have an intuition that a little levity may relieve some tension for her, then dip your toe in the water. Her response will help you gauge where she is. Humor may work for a bit (without getting annoying, of course). Then just be sensitive to the shifts. Be ready to let it go as things progress. Because unlike floods, stomach flus, foreclosures and other difficult days, this is the day you become parents! Birth can be stressful, challenging, long and unpredictable, but it also contains immense joy. It’s a great day to smile.